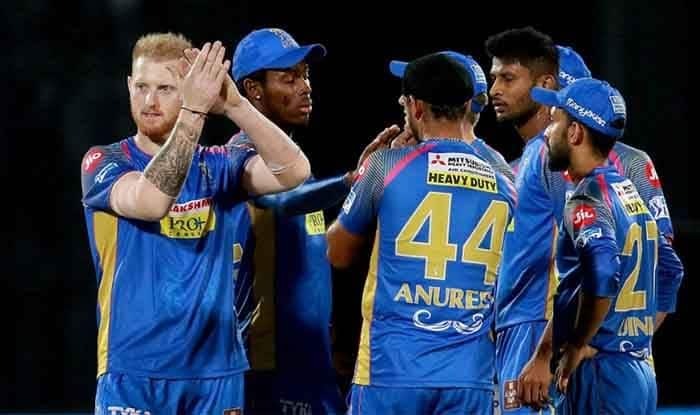 Sanju Samson smashed the first century of the ongoing Indian Premier League and together with skipper Ajinkya Rahane stitched a century stand to guide Rajasthan Royals to a mammoth 198 against Hyderabad. Sanju Samson smashed the first century of the ongoing Indian Premier League and together with skipper Ajinkya Rahane stitched a century stand to guide Rajasthan Royals to a mammoth 198 for two against Sunrisers Hyderabad here Friday. Samson didn’t spare a single Sunrisers’ bowler and remained unbeaten on 102 that came off just 55 balls with the help of 10 fours and four hits over the fence. It was Samson’s second IPL ton. His first century in the T20 tournament came in 2017. Opening the batting after winning the toss, Rahane led from the front with 49-ball 70 and together with Samson shared 119 runs for the second wicket to set the base for the total after the early dismissal of Jos Buttler. Rajasthan’s decision to bat first didn’t go according to plan, at least, in the powerplay as the visitors struggled against Sunrisers’ disciplined bowling to garner just 35 runs in the first six overs. Rahane finally departed in the 16th over bowled by Nadeem, holed out by Manish Pandey at long-on as he went for a big shot. He struck four boundaries and three sixes during his knock. Bhuvneshwar Kumar’s torrid time at the death overs continued. If it was Andre Russell in the last match, it was Samson Friday as the young Kerala batsman too the senior pacer to cleaners, hitting him for four boundaries and one six to pick up 24 runs from the 18th over.